Embedded deep within an Army maneuver unit lies an Airman. Charged with orchestrating critical close-air support, oftentimes it’s the effort of this combat maestro that means the difference between life and death on the battlefield—this individual is known as a tactical air control party, or TACP for short. 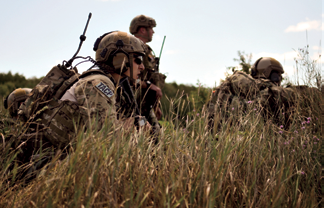 Tactical air control party specialists with the 169th Air Support Operations Squadron survey an enemy-controlled landing zone before calling in close-air support at Operation Northern Strike in Grayling Air Gunnery Range, Grayling, Mich., Aug. 14, 2014. Northern Strike was a 3-week-long exercise led by the National Guard that demonstrated the combined power of joint and multinational air and ground forces. TACPs with the Air National Guard’s 169th ASOS from Peoria, Ill., and more than 5,000 other armed forces members from 12 states and two coalition nations participated in the combat training. However, the success of close-air support doesn’t depend on these Airmen alone, but also the equipment and communication tools they use. TACP-Modernization, an Air Force Life Cycle Management Center-owned program, is the driving force responsible for acquiring and equipping battlefield Airmen with such tools. This technology has the capability to interface with ground forces, CAS aircraft, UHF satellites, remotely piloted aircraft and command and control intelligence, surveillance and reconnaissance platforms. To meet the needs of a modern day ground and cyber battlefield, the 46-member TACP-M team focuses on reducing reliance on voice transmission and replacing analog equipment with the latest data link and streaming video technology. They do this by addressing three main areas—mounted, dismounted equipment and communication software. “Mounted mobile communication is a top requirements priority for us,” said Rob Bubello, Battlespace Communications Branch chief and TACP-M program manager. TACPs, who advise ground commanders on employing airpower and control aircraft to put bombs on target, use two different types of mounted equipment: fixed and mobile. The mounted, fixed element integrates computer and communications equipment into re-locatable vehicle, rack or transit case-mounted systems for use in tactical operation centers and air support operation centers. This includes the Humvee-mounted ASOC Gateway, Gateway Lite, as well as Dismounted Communication Packages known as DCPs. Today, TACP-M’s sights are set on producing the next generation of on-the-move technology — Mobile Communication Systems or MCSs. The mounted, mobile element, which is similar to its fixed counterpart, integrates hardware into mobile tactical vehicles employed by the Army and provides on-the-move voice and data capabilities. To date, the program office has fielded 45 communication pallets, which are integrated onto Stryker vehicles that operate within the U.S.’s area of responsibility. DCPs, considered part of the mounted equipment component, are comprised of existing hardware such as computers, keypad displays, headsets and antennas. Those items are then coupled with equipment found in air support and tactical operation centers. Since 2007, TACP-M has managed to acquire and equip 224 Humvees and 45 Strykers with TACP communication systems and plans on integrating 400 more systems into vehicles over the next five to 10 years. They have also fielded 17 operation center Gateways, four Gateway Lights and procured 144 DCPs to date. However, it isn’t solely mounted equipment that TACPs use in the field; therefore, the program team also focuses on acquiring state-of-the-art dismounted technology as well. For example, multiband man-pack radios began fielding in late 2010, followed by small wearable computers in 2011. Within the same year, pocket laser range finders, handheld laser markers and mini thermal monoculars also entered field testing. Later in 2013, equipment such as full motion video receivers and TOC light/heavy computers found their way onto the battlefield. Master Sgt. Jeff Kennedy, a battlefield Airman who’s currently assigned to the Hanscom AFB program office, is one of approximately 2,000 TACPs in the Air Force; he and others like him know all too well the importance of having the latest technology. With this in mind, TACP-M moves toward acquiring more efficient pieces of dismounted equipment. For instance, the team recently introduced 202 additional Soldier ISR Receivers, or SIRs, that will help bring full motion video capability to dismounted TACPs such as Kennedy. In addition, small wearable computers are being replaced by TACP computer kits, which are comprised of an integrated computer, vest and cable systems. Tatical Air Control Party specialists provide over-watch of friendly forces in an undisclosed location using a PSN-13 global positioning system and an AN/PRC-117F multiband manpack radio. 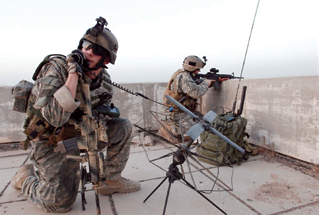 TACPs use a variety of equipment to call in close-air support for ground forces. The TACP-Modernization program office at Hanscom AFB, Massachusetts, is charged with equipping TACP Airmen with the necessary communication tools. Photo is courtesy of the U.S.A.F. The final piece of the puzzle, and the team’s third area of focus, is close-air support system software, commonly referred to as CASS. The purpose of CASS is simple—to develop and sustain a common software application, one that establishes a baseline across all TACP systems. “What’s the point of having high-tech gear if we have outdated software?” Kennedy said. The Air Force currently uses CASS version 1.4.4, but Rockwell Collins, acting on a recently awarded contract, will produce version 1.4.5 by October. It was a selection that led to a 60 percent savings for the service from the previous contract. With CASS playing a substantial role in TACP-Modernization, the Air Force is optimistic that the new version will be fielded in fiscal year 2015. What’s to be expected? A software version that improves TACP mission effectiveness via Human Machine Interface, data that can be exchanged between dissimilar air and ground platforms and a dismounted simplified interface environment for battlefield Airmen. The 1.4.5 version will also focus on software applications for the dismounted operator as well as a more complex scale software capability found in air operation centers. For those who doubt Airmen are on the ground and in the fight, they’re not privy to the crucial role TACPs play or of the diligent people behind the scenes ensuring the warfighter goes into battle properly equipped. Through the use of CASS, mounted and dismounted equipment, TACP-M ties it all together by balancing the Air Force’s present day needs with tomorrow’s modernization. An Oklahoma Congressman is urging the U.S. government to outsource the collection of certain weather data to commercial satellite operators, the same model currently used by the Department of Defense (DoD) for global satellite communications. In a recent speech given to the Washington Space Business Roundtable (WBSR), Rep. Jim Bridenstine (R-OK) said using commercial data would improve weather forecasting and make the network of weather satellites more resilient. Bridenstine’s speech centered around the National Oceanic and Atmospheric Administration (NOAA) and his desire to see NOAA’s use of commercial weather data to mitigate risk of pending weather data gaps. NOAA’s weather satellites are aging and one of their critical polar operational environmental satellites (POES) is nearing the end of its lifespan. The agency hopes to address this challenge by launching new, next generation spacecraft. However, this project, known as the Joint Polar Satellite System 1 (JPSS 1), has fallen behind schedule. According to a 2013 report from the Government Accountability Office (GAO), this could result in the U.S. having insufficient polar satellite data to accurately predict severe weather events. This data gap could range from 17 to 53 months, according to the report. Bridenstine has introduced a bill, the Weather Forecasting Improvement Act of 2014, which takes several steps to mitigate this near-term data gap. The Bill, passed by the House and awaiting action in the Senate, calls on NOAA to explore purchasing commercial data and to incorporate such purchases into the standard operating procedures of the agency. The bill also requires NOAA to make funds available for non-federal weather researchers through competitive grants, contracts and cooperative agreements. 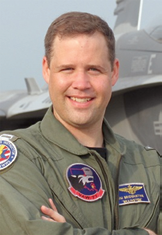 We welcome Congressman Bridenstine’s willingness to embrace innovative new approaches to challenges in space. 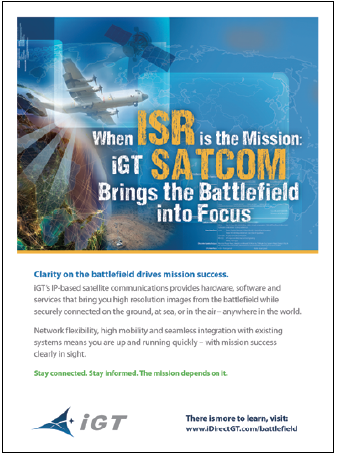 Whether in weather services, remote sensing, space situational awareness, and especially satellite communications, commercial capabilities offer a tremendous value as well as resilience, information assurance, and capability. In the current budgetary climate, government and industry must work collaboratively to find new approaches that can efficiently maintain and upgrade U.S. space architectures. Regarding weather, the GAO report put both parties on notice regarding the coming data gap. Similar short-falls can be made to other mission areas as well. Representative Bridenstine is right: let’s further our cooperation now in the best interests of the public. Mr. 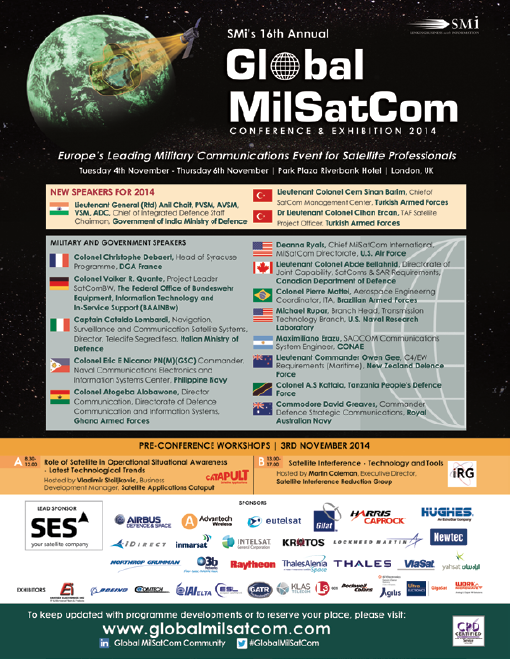 Pride joined Intelsat General Corporation as Director, Legislative and Government Affairs in January 2014. He represents Intelsat General’s interests with key government officials, associations and industry groups in the advocacy and promotion of innovative and strategic uses for commercial satellite communications. Prior to joining Intelsat General, Mr. Pride served in the U.S. Air Force for 24 years, retiring as a Colonel. A career nuclear weapons and space officer, he had numerous command and senior staff assignments at Air Force Space Command, the Air Staff, the Joint Staff and the National Reconnaissance Office. From studying the effects of solar activity to improve radio transmissions to enhancing the capabilities of Automated Identification Systems, the importance of having a reliable communications infrastructure in the Arctic has not been lost on researchers traveling aboard the Coast Guard Cutter Healy as part of Arctic Shield 2014. The Mobile User Objective System (MUOS) is the U.S. Navy’s next generation narrowband military satellite communications system that will replace the legacy Ultra High Frequency Follow-On (UHF-FO) communications system before that system reaches its end of service life. Engineers from Lockheed Martin Space Systems, the creators of MUOS, were aboard the Healy to test the system’s capabilities in the Arctic for the Department of Defense. MUOS delivers secure voice and data transmissions to mobile users using an advanced waveform similar to commercial cellphone technology. The MUOS waveform leverages the widely used commercial Wideband Code Division Multiple Access cellphone technology and allows different radios to communicate with the greater MUOS system as well as other network users. Unlike the UFO satellite constellation, the MUOS system allows routing to and from any radio terminal in the system regardless of which satellites are in view. “This means users could traverse the globe using one radio, without needing to switch out because of different coverage areas,” Sun explained. 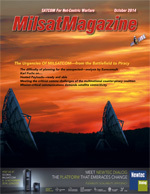 General Dynamics C4 Systems supported a successful Mobile User Objective System (MUOS) satellite communications (SATCOM) demonstration connecting a U.S. Air Force C-17 mobility aircraft, flying over the Pacific Ocean, with a simulated airlift operations center at Scott Air Force Base, Illinois. Using MUOS-equipped AN/PRC-155 radios located in the aircraft and on the ground, Air Force observers at Scott Air Force Base were able to talk with the airborne C-17 aircrew, exchange data and monitor the flight status of the aircraft using the MUOS satellite communications system. Over the course of the four-day demonstration, the MUOS-Manpack PRC-155 two-channel radios aboard the aircraft consistently sent and received secure voice and data communications, including in-flight position and location information, from the aircraft to the operations center at Scott Air Force Base. The MUOS Manpack PRC-155 radio also used a loosely coupled airborne networking suite to route flight-path changes from the command center directly to the pilot and aircrew, displaying the information on portable cockpit mission displays. Data from the aircraft’s flight computers traveled securely from the PRC-155 radio, over the MUOS satellite and down to the PRC-155 radio in the operations center allowing Air Force personnel to watch the aircraft’s flight on their mission tracking/status workstation displays. 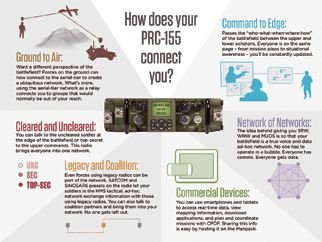 In addition to the Air Force demonstration, the PRC-155 MUOS-Manpack radio is the first to deliver secure voice and data connectivity using the MUOS system in Polar Regions, from the ground and aboard aircraft in flight. The PRC-155 two-channel Manpack radio was developed by General Dynamics. The MUOS satellite communications system offers smartphone-quality voice communications and more than 10-times the data capacity of the legacy UHF satellite communications system that is more than 20-years old. To connect to the MUOS satellite system, radios, such as the PRC-155, must have the MUOS communications waveform that is based on commercial cellular networks technologies. As part of the Handheld, Manpack and Small Form Fit (HMS) family, the PRC-155 Manpack is the only radio available to the U.S. Army today that connects the new Mobile User Objective Satellite (MUOS) network, while also bridging lower tactical tier networks to the “big Army” network that reaches back anywhere in the world. General Dynamics C4 Systems is a business unit of General Dynamics. For more information about the General Dynamics family of tactical radios visit http://www.thesoldiersnetwork.com/. ThinKom Solutions, Inc. has partnered with AQYR, a wholly owned subsidiary of Windmill International, Inc., to support the joint development of a turnkey micro-VSAT terminal. This terminal will be the satellite industry’s smallest, lightest, and most rapidly deployable and packable auto-acquisition terminal on the market, covering Ka-band military and commercial frequencies. Combining the best practices of ThinKom and AQYR now brings to the market the smallest and lightest form factor for a Ka auto-acquisition terminal, also increasing spectral efficiency while still meeting the power spectral density requirements (such as FCC 25.222, 25.138, 25.209, MIL-STD-164B, ITU KA1, etc.) without spreading or the need for a waiver for use over existing and new high-throughput commercial or government satellites. ThinKom Solutions, Inc. products enable near-term worldwide availability of affordable high data rate connectivity for the consumer, enterprise and public sector organizations including military, intelligence, civilian and public safety communities and are deployed in land, air and sea applications. AQYR and its parent company, Windmill International, Inc., offer program management, engineering, training, technology and software development for innovative, tactical systems. The UK Space Agency has published its biennial study into the progress of the UK space sector. The Size and Health of the UK Space Industry report reveals that the sector continues to soar and is currently worth £11.3 billion to the UK economy, growing at more than 7 percent per year, employing over 34,000 people and supporting a further 65,000 jobs in other sectors. The Size and Health of the UK Space Industry allows the UK Space Agency to track the progress of the sector and serves as a metric against its ambitions and the targets set in the Space Innovation and Growth Strategy. The latest figures reflect well on the past two years of strategic investment by government in key technological innovations. Through strategic investment, improved policy and stronger international collaboration in areas with the potential for further growth and high economic return, the UK Space Agency is working to build a supportive environment for the commercial space sector and enabling the UK to fully exploit a growing market for space data and technologies. During development of its recently announced next generation terminals, ViaSat demonstrated 1Mbps throughput over the LightSquared SkyTerra-1 satellite to a small terminal less than 8-by-5-by-2-inches, in fixed configurations and mobile applications at speeds up to 65mph. Improved performance over L-band broadens the scope of applications that Mobile Satellite Services (MSS) can serve. With faster downloads, enhanced broadcast and multicast services, and greater responsiveness, ViaSat L-band Managed Service provides a better overall user experience with more timely information, while maintaining a low cost of ownership. 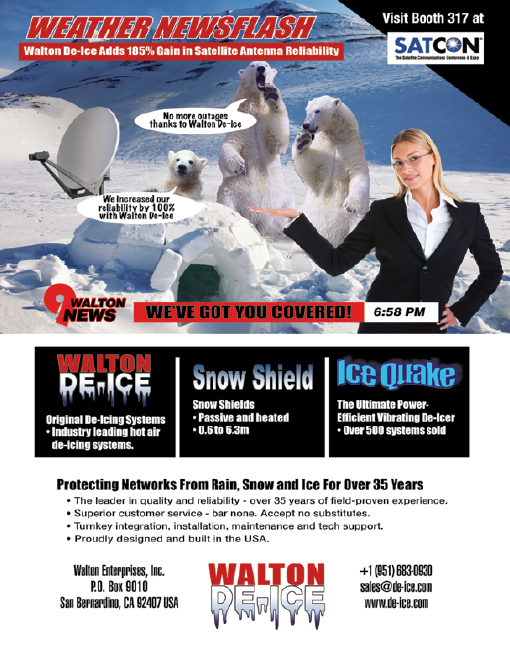 ViaSat achieved the 1Mbps data rate by efficiently balancing power and bandwidth over the LightSquared satellite. “Receiving 1Mbps with a mobile terminal, this small terminal pushes the boundaries of performance per cubic inch and creates an opportunity to address unserved and underserved mobile market segments,” said Phil Berry, VP MSS at ViaSat. The ViaSat L-band Managed Service operates over the highest performance L-band satellites and is enabled by ViaSat technologies that provide high-availability, greater data security, and faster response for MSS. 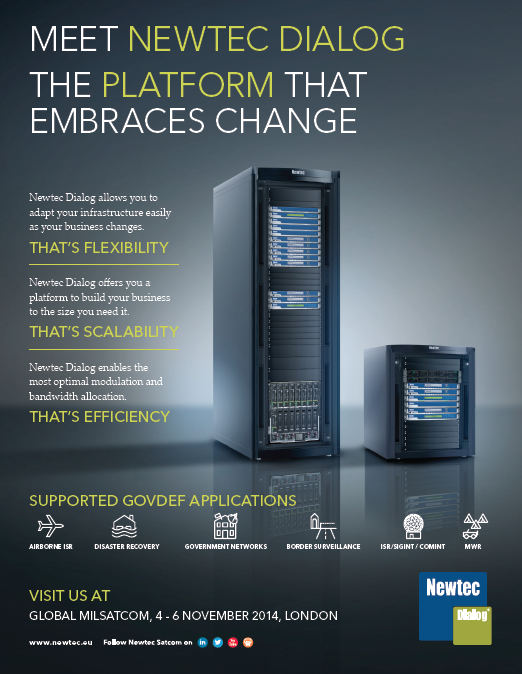 This flexible, open service enables an array of applications that serve the communication needs of consumer, enterprise, and government segments. The Defense Information Systems Agency (DISA) and its Army and Air Force mission partners have initialized the first Joint Regional Security Stacks (JRSS) at Joint Base San Antonio (JBSA) to provide a consolidated, collaborative, and secure Joint Information Environment (JIE) across the Department of Defense. The Joint Regional Security Stacks include failover, diversity and elimination of critical failure points as a means to assure timely delivery of critical information to warfighters around the globe. The use of Multi-Protocol Label Switching (MPLS) switches inside security stacks provides a virtual traffic management system that moves data faster, improves command and control, and prioritizes and streamlines data flow, significantly reducing the chances of data being stalled or lost due to high volume and congestion. Joint Base San Antonio is the first of 25 DoD NIPRnet data sites to host the suite of equipment, which performs firewall functions, intrusion detection and prevention, enterprise management, virtual routing and forwarding (VRF), and provides a host of network security capabilities. Additionally, 25 SIPRnet Data sites will be implemented into the same locations over the next year. Installation is complete at ten JRSS sites within the continental United States (CONUS), with the 11th taking place in first the quarter of Fiscal Year 2015, at Joint Base Lewis-McChord, Washington. Their final implementation will be a phased approach over the next fiscal year. Overseas, JRSS installation in Europe is complete, with three more sites planned for completion in the third quarter FY15 for Southwest Asia. While the current implementation of JRSS is a joint effort with Air Force and Army, DISA is coordinating with the remaining military services and other DoD components to identify opportunities and resources for continuous implementation and deployment of JRSS to enable the top down security and visibility foundational to JIE.